Home / How Safe is Your Vape Pen? But there may be a hidden downside to vape pens, which are manufactured (typically in China), marketed, and utilized without regulatory controls. Available online and in medical marijuana dispensaries, vape pens contain a battery-operated heating mechanism, which at high temperatures can transform solvents, flavoring agents, and various vape oil additives into carcinogens and other dangerous toxins. A 2010 study published in the International Journal of Environmental Research and Public Health concluded that airborne propylene glycol circulating indoors can induce or exacerbate asthma, eczema, and many allergic symptoms. Children were said to be particularly sensitive to these airborne toxins. An earlier toxicology review warned that propylene glycol, ubiquitous in hairsprays, could be harmful because aerosol particles lodge deep in the lungs and are not respirable. When propylene glycol is heated by a red-hot metal coil, the potential harm from inhalation exposure increases. High voltage heat can transform propylene glycol and other vaping additives into carbonyls. Carbonyls are a group of cancer-causing chemicals that includes formaldehyde, which has been linked to spontaneous abortions and low birth weight. A known thermal breakdown product of propylene glycol, formaldehyde is an International Agency for Research on Cancer group 1 carcinogen. Because of low oral toxicity, propylene glycol is classified by the FDA as “generally recognized as safe” (GRAS) for use as a food additive, but this assessment was based on toxicity studies that did not involve heating and breathing propylene glycol. Prevalent in nicotine e-cig products and present in some vape oil cartridges, FDA-approved flavoring agents pose additional risks when inhaled rather than eaten. The flavoring compounds smooth and creamy (diacetyl and acetyl propionyl) are associated with respiratory illness when inhaled in tobacco e-cigarette devices. Another hazardous-when-inhaled-but-safe-to-eat flavoring compound is cinnamon ceylon, which becomes cytotoxic when aerosolized. Currently, there is no conclusive evidence that frequent users will develop cancer or another illness if they inhale the contents of vape oil cartridges. That’s because little is actually known about the short or long-term health effects of inhaling propylene glycol and other ingredients that are present in flavored vape pen cartridges. Many of these prefilled cartridges are poorly labeled with little or no meaningful information on their contents. The possibility that vape pens might expose people to unknown health hazards underscores the importance of adequate safety testing for these products, which thus far has been lacking. Scientists face several challenges as they try to gather relevant safety data. As yet, no one has determined how much e-cig vapor the typical user breathes in, so different studies assume different amounts of vapor as their standard, making it difficult to compare results. Tracing what happens to the vapor once it is inhaled is equally problematic. The biggest variable is the device itself. The performance of each vape pen can vary greatly between different devices and sometimes there is considerable variance when comparing two devices of the same model. Some vape pens require pressing a button to charge the heating coil; others are buttonless and one activates the battery simply by sucking on the pen. The surface area of the vape pen’s heating element and its electrical resistance play a large role in converting ingestible solvents into inhalable toxins. Another confounding factor is the scant information on when and how long the user pushes the button or inhales on average, how long the coil heats up, or the voltage used during the heating process. 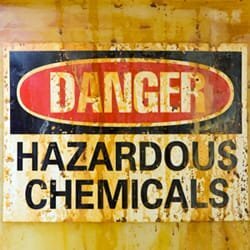 A five-volt setting yielded higher levels of formaldehyde in a controlled propylene glycol study cited in the New England Journal of Medicine. In the case of vape pens, there’s a great need for specific research on how people actually use these products in the real world in order to understand potential benefits or harms. Such studies have been conducted using the Volcano vaporizer, a first generation vaping device that differs from a vape pen, a more recent innovation, in several ways. Utilized in clinical trials as a medical delivery device, the Volcano is not a portable contraption. The Volcano only heats raw cannabis flower, not oil extract solutions, and it doesn’t combust the bud. Vape pen manufacturers don’t like to admit it, but when the heating element gets red hot in a vape pen, the solution inside the prefilled cartridges undergoes a process called “smoldering,” a technical term for what is tantamount to “burning.” While much of the vape oil liquid is vaporized and atomized, a portion of the vape oil blend undergoes pyrolysis or combustion. In that sense, most of the vape pens that have flooded the commercial market may not be true vaporizers. Unlike vape pen devices, the Volcano vaporizer has been tested for safety and pharmacokinetics (a measurement of what’s in the blood and how long it stays there). Collectively, the data indicate that vaporizing whole plant cannabis exposes the user to lower amounts of carcinogens compared to smoke and decreases side effects (such as reactions to the harshness of smoke). But nonportable vaporizers like the Volcano may still pose health concerns if the vaporized cannabis flower is below acceptable botanical safety standards. A recent article in the Journal of Analytical Methods notes that high levels of ammonia are produced from vaporizing cannabis grown incorrectly, perhaps due to the lack of flushing during hydroponic cultivation. There’s a growing body of data suggesting that the chemicals used to push the plant towards unnaturally high THC concentrations stay in the finished product. Dr. Jahan Marcu is the chief scientist for Americans for Safe Access (ASA) and chief auditor for ASA’s Patient Focused Certification program. He serves on the board of various trade association and science organization committees, including the American Chemical Society, the International Association for Cannabis as Medicine, and the American Herbal Products Association. Project CBD research associate Eric Geisterfer conducted a limited survey of cannabis vape oil and CBD hemp vape oil cartridges. Several of these products were found to include propylene glycol as an additive. The list below is incomplete—vape oil products are continually being introduced and in some cases rebranded. Some cannabis vape oil cartridges also include propylene glycol or polyethylene glycol as a thinning agent. Both compounds may have adverse health effects when heated and inhaled. Neither has been safety tested by the FDA for inhalation when heated. Cannabis consumers should carefully scrutinize cannabis product labels. Boom in E-cigarettes Sparks Debate. Chem Eng News. 2015;93(7):10-13. Abrams DI, Vizoso HP, Shade SB, Jay C. Vaporization as a smokeless cannabis delivery system: a pilot study. Clinical Pharmacology …. 2007. doi:10.1002/(ISSN)1532-6535. Barrington-Trimis JL, Samet JM, McConnell R. Flavorings in Electronic Cigarettes: An Unrecognized Respiratory Health Hazard? JAMA. 2014;312(23):2493-2494. doi:10.1001/jama.2014.14830. Choi H, Schmidbauer N, Sundell J, Hasselgren M, Spengler J, Bornehag C-G. Common Household Chemicals and the Allergy Risks in Pre-School Age Children. Hartl D, ed. PLoS ONE. 2010;5(10):e13423. doi:10.1371/journal.pone.0013423. Choi H, Schmidbauer N, Spengler J, Bornehag C-G. Sources of Propylene Glycol and Glycol Ethers in Air at Home. International Journal of Environmental Research and Public Health 2010, Vol 7, Pages 4213-4237. 2010;7(12):4213-4237. doi:10.3390/ijerph7124213. Etter J-F. Electronic cigarettes and cannabis: an exploratory study. Eur Addict Res. 2015;21(3):124-130. doi:10.1159/000369791. Gieringer D, Laurent JS, Goodrich S. Cannabis Vaporizer Combines Efficient Delivery of THC with Effective Suppression of Pyrolytic Compounds. doi:10.1300/J175v04n01_02. Hazekamp A, Ruhaak R, Zuurman L, van Gerven J, Verpoorte R. Evaluation of a vaporizing device (Volcano®) for the pulmonary administration of tetrahydrocannabinol. J Pharm Sci. 2006;95(6):1308-1317. doi:10.1002/jps.20574. Hazekamp A, Grotenhermen F. Review on clinical studies with cannabis and cannabinoids 2005-2009. Cannabinoids. 2010;5(special):1-21. Jensen RP, Luo W, Pankow JF, Strongin RM, Peyton DH. Hidden Formaldehyde in E-Cigarette Aerosols. N Engl J Med. 2015;372(4):392-394. doi:10.1056/NEJMc1413069. Nitzkin JL, Farsalinos K, Siegel M. More on hidden formaldehyde in e-cigarette aerosols. N Engl J Med. 2015;372(16):1575. doi:10.1056/NEJMc1502242#SA1. Pomahacova B, Van der Kooy F, Verpoorte R. Cannabis smoke condensate III: The cannabinoid content of vaporised Cannabis sativa. Inhalation Toxicology. 2009;00(00):090619130156077–5. doi:10.1080/08958370902748559. Wallace MS, Marcotte TD, Umlauf A, Gouaux B, Atkinson JH. Efficacy of Inhaled Cannabis on Painful Diabetic Neuropathy. J Pain. 2015;0(0). doi:10.1016/j.jpain.2015.03.008.